Should I Be Using a MoneyManager? Home TopicsInvestment Strategies	Should You Be Using an Account Manager? In Friday’s column, I noted that – due to the constrained monetary and fiscal options available to policy makers – the next economic downturn may be more severe than most. As a starting point, I suggested that investors check their asset allocations to make sure their portfolios are not too risky or aggressive. Many readers gave their ages and financial goals and asked whether their asset allocations were appropriate. In most cases, there wasn’t enough information to make a determination. More to the point, I’m not allowed to give personal investment advice. And that’s a good thing since I know only a small percentage of my nearly half-million readers. Some noted that asset allocation is a term that they often hear but don’t fully understand. “Asset allocation means diversification, right?” asked one reader. An S&P 500 index fund is broadly diversified. (After all, you own 500 companies.) But unless your goal is to be 100% invested in large cap U.S. stocks, it’s not your best asset allocation. Asset allocation refers to how you divide your portfolio up among different noncorrelated asset classes, such as foreign and domestic stocks, high-grade and high-yield bonds, real estate investment trusts, Treasury Inflation-Protected Securities (TIPS), etc. Many of the individuals asking these questions might benefit from a managed account. Historically, only institutional investors used professional money managers to run their portfolios. Until recently, individual investors could access these managers only through mutual funds, unless they had millions to invest. But in recent years, investment minimums – and, just as importantly, costs – have come way down. So managed accounts are now a viable option for plenty of investors. When you open a managed account, you sign a limited power of attorney to let an investment professional run your portfolio – or, at least, the portion that you turn over to him or her. The manager begins by determining your investment goals, time horizon and risk tolerance. A 30-year-old’s portfolio, for instance, would look very different from an 80-year-old’s. Personalization. The account manager will take into account your specific circumstances: age, experience, time horizon and risk tolerance, for example. Transparency. Unlike mutual funds, you know what’s in your account. You can see what you own. Competitive fees. Account managers generally charge a flat fee rather than full-service brokerage commissions. Performance. Account managers often have favorable track records. Convenience. If you are too busy to give your investments the attention they deserve – or if you are an inexperienced or emotional investor – having a professional run your portfolio may be your best solution. Who would not benefit from a managed account? Primarily do-it-yourselfers. If you enjoy the investment process, have the time and expertise to implement your investment strategy, and – most importantly – are satisfied with the results, you don’t need to turn your money over to someone else to manage. On the other hand, there are few hobbies more fraught with danger than horsing around with the money you’ve spent a lifetime accumulating – and plan to live on in retirement. 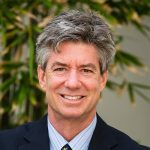 I recently spoke with Greg Galloway – president of Fund Advisors of America in Maitland, Florida – who runs many managed accounts based on the Club’s asset allocation and investment recommendations. “Look,” he said with a laugh, “I’ll be the first to concede that managed accounts aren’t for everybody. However, I speak with a lot of investors who realize they could be doing a lot better than they are. They know they should asset allocate their portfolios, but they don’t. Or they aren’t sure how. They don’t want to be over- or under-diversified, but we look at their portfolios and see that they are. They know they should run trailing stops behind their stocks, but they get distracted or forget. How about investors who say they can save money by doing it themselves? In my view, whether you need a managed account really boils down to whether you like to grow your own tomatoes. Some people are natural gardeners. They want to till the soil, plant the seeds, water them, fertilize them, weed them and, eventually, harvest them. When they eat those tomatoes, they have the pride and satisfaction of knowing they grew them themselves. 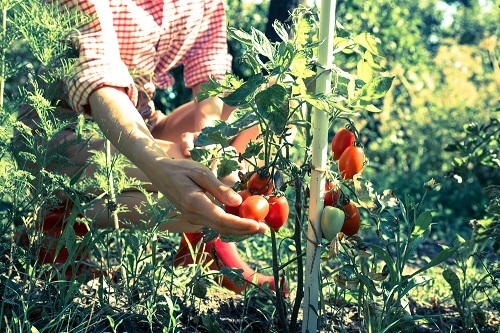 Other folks are too busy, ill-equipped or simply uninterested in growing their own tomatoes. They just stop at the farmers market or the store and pick up a bag. They don’t want to grow their own tomatoes. Greg Galloway and Rick Pfeifer of Fund Advisors of America run managed accounts through Charles Schwab, using Oxford Club recommendations, among other strategies. They also offer a complimentary portfolio review. (Minimum account size is $100,000.) Rick and Greg can be reached at 800.438.3040 or 407.667.4729. If your interest is gold and other precious metals, you may want to talk to the folks at Asset Strategies International. They focus on currencies, precious metals and offshore accounts. Contact Michael or Rich Checkan at 800.831.0007 or 301.881.8600. Incidentally, Club Members are entitled to discounted fees and special services at each of these firms. In sum, managed accounts are an excellent choice for some investors. Others, of course, prefer to grow their own tomatoes. The two are hardly mutually exclusive. Many investors turn their serious money over to a pro and keep a smaller account on the side for trading and speculation. Either way, it never hurts to know your alternatives.